1. Nectar of the Gods. 2. The beverage of immortality. This deliciously cloudy grape juice is made from the freshest Muscat grapes that grow in our Opou vineyard. Grown with compassion for nature, the grapes are handpicked, gently pressed and made into juice on just one day of the year. Not from concentrate, just pure organic juice. Overflowing with full-bodied flavours it has a delicious balance of natural sweetness and intense aroma, Amrita is the perfect refreshment whether served chilled on ice, mixed with sparkling mineral water or as your favourite cocktail mixer. 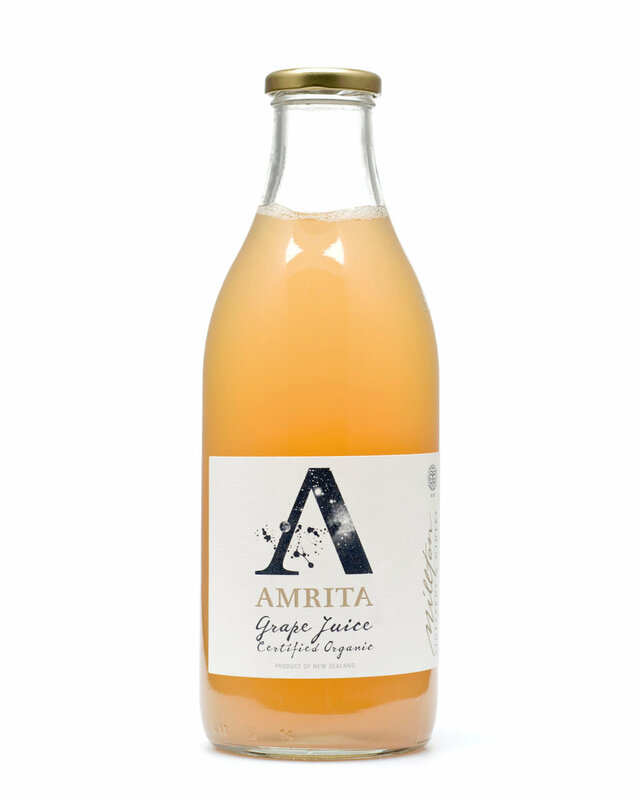 100% pure grape juice, with no added colouring, flavouring, sugar or preservatives and abundantly packed with health-giving antioxidants, amino acids and vitamins, Amrita is a unique tasty treat.